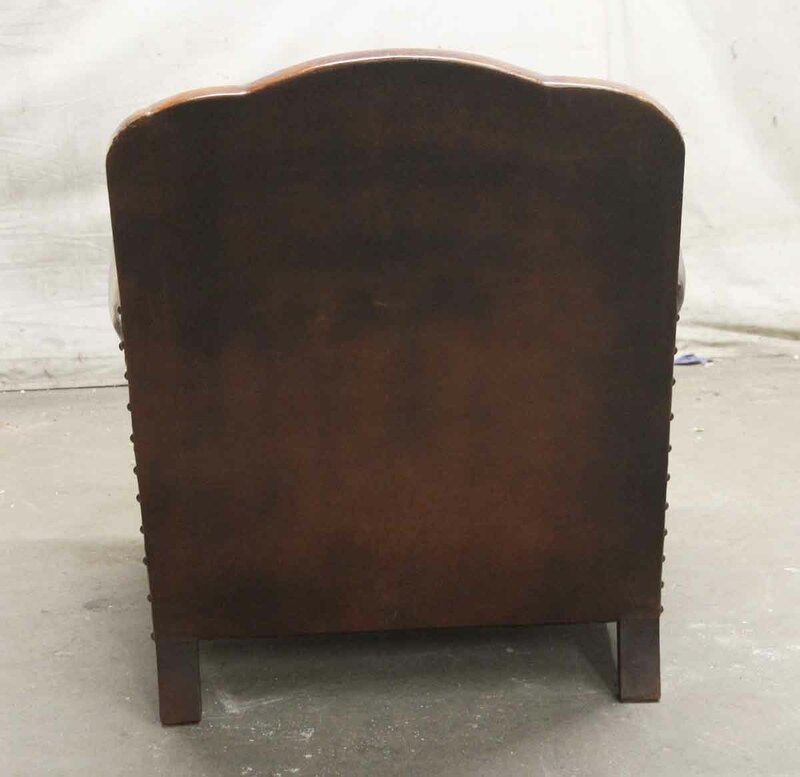 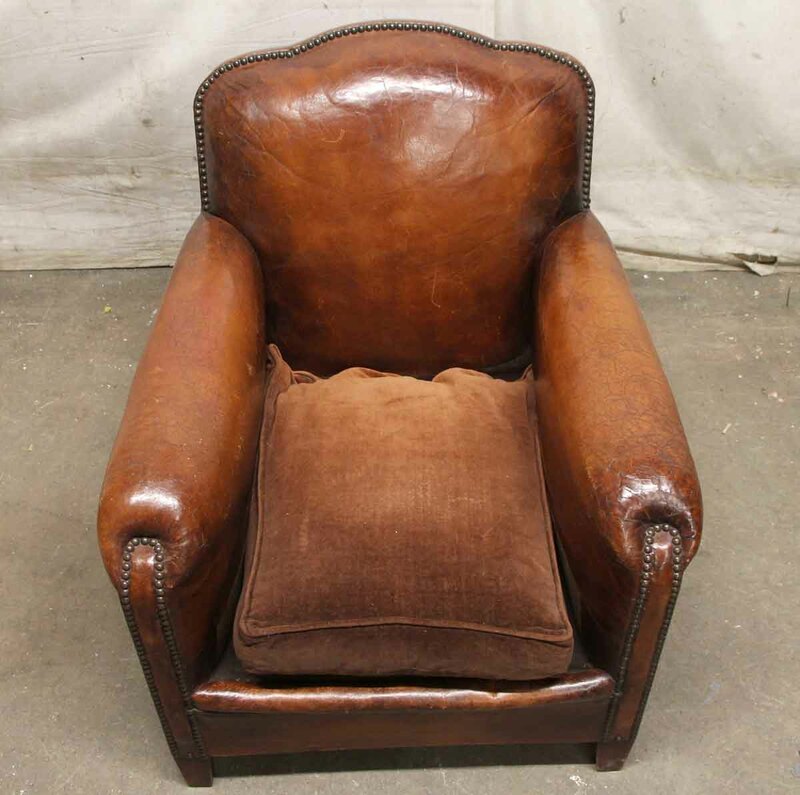 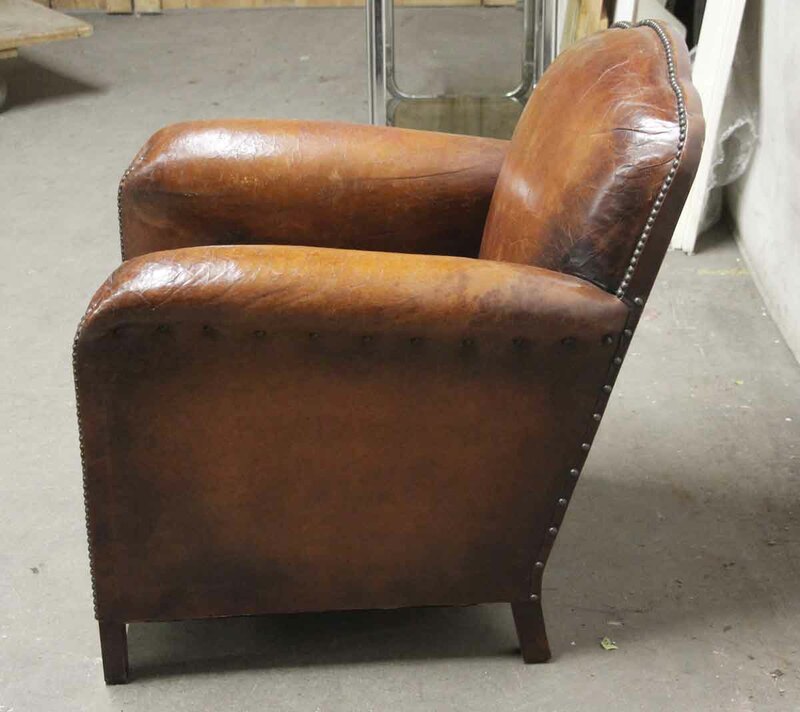 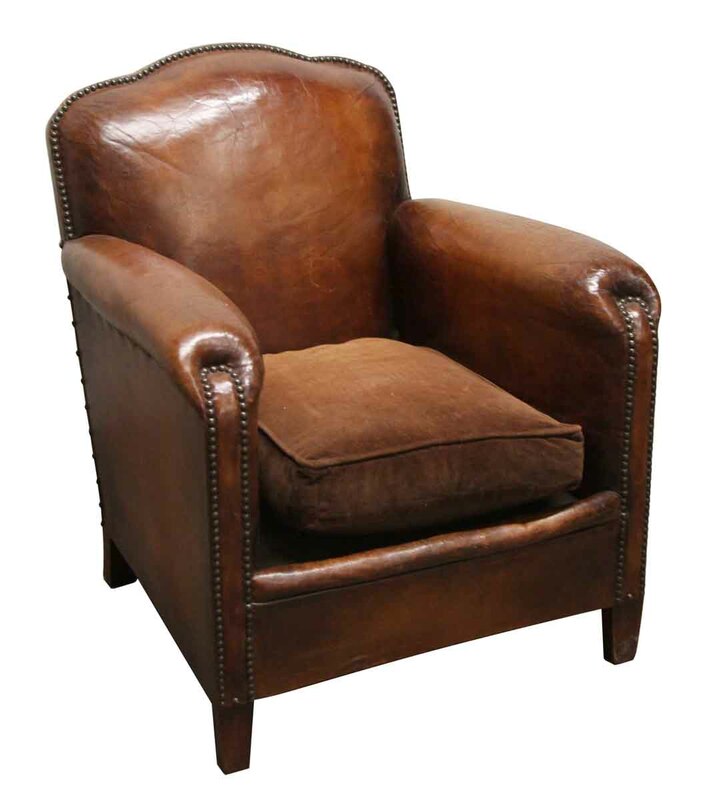 Brown imported leather club chair with studded details and wooden feet. 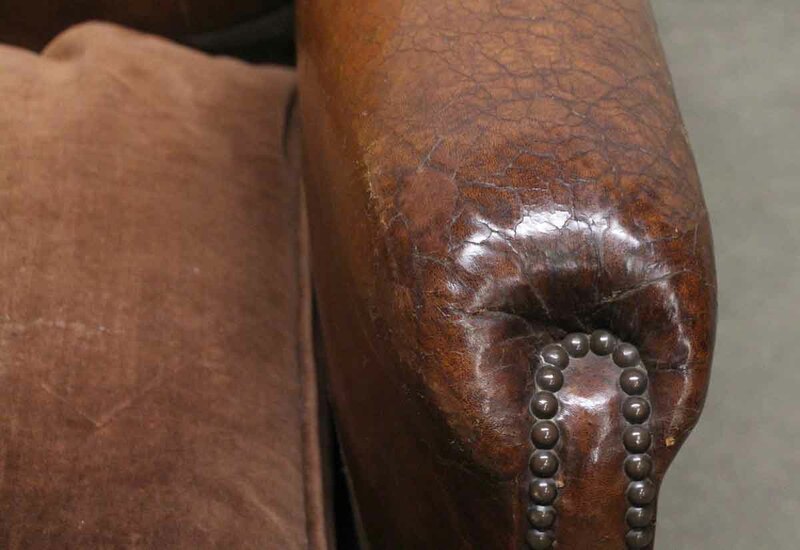 There is some distressing in the leather from age and use. 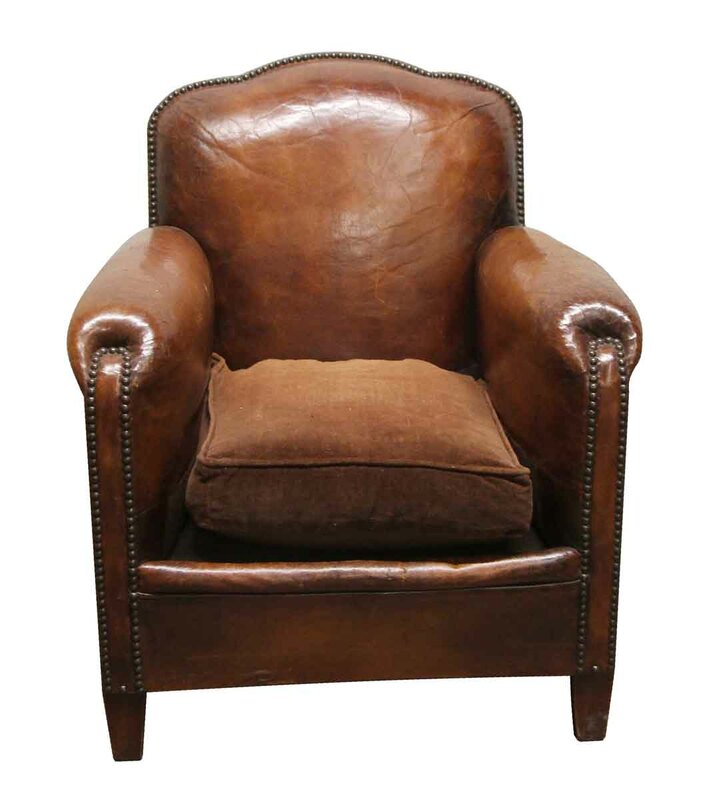 One available.